Pensacola State’s Brain Bowl team finished eighth in the nation among two-year colleges at this year’s National Academic Quiz Tournaments. Held Feb. 24-25 in Minneapolis, the tournaments included the top 23 two-year college brain teams in the nation. 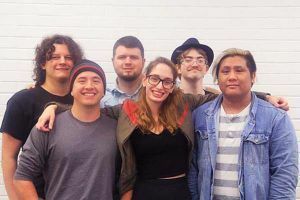 The Pensacola State team – made up of Tiffany Byrd, Saul Horacek, Michael Blackwell, Mathew Roush, Josh Enrile and Ryan Medina – went into the competition ranked No. 20. The “Elite Eight” finish is a milestone for Pensacola State’s Brain Bowl teams. In recent years, the college team has earned bids to three other national championship tournaments – 2010 in Marianna; 2013 in St. Louis; and 2014 in Atlanta. Ken McAferty, professor of English in the English and Communications Department and the team’s coach and advisor, said this year’s team is continuing the legacy. Dr. Ed Pate, assistant department chair for the English and Communications Department, added the team has made the college extremely proud. 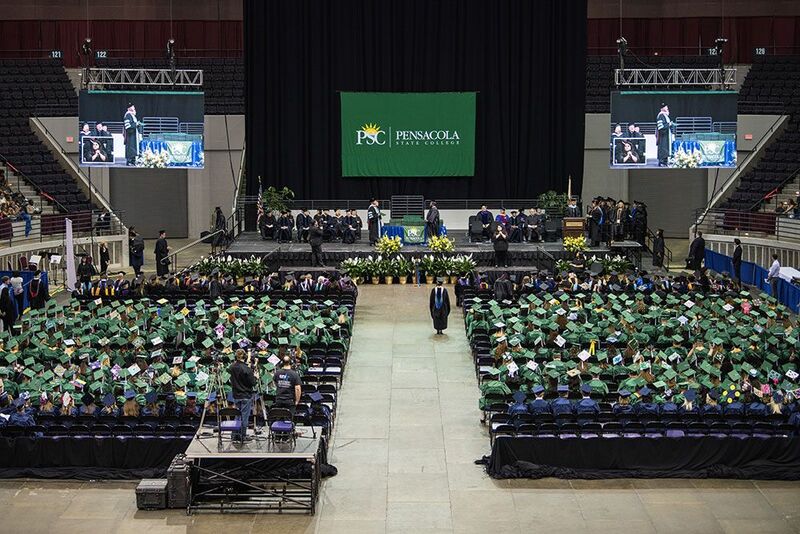 “It’s gratifying when Pensacola State is recognized nationally, but it’s especially gratifying – and inspiring – when the national spotlight shines on our students’ efforts and accomplishments,” Pate said. Overall, Florida College System institutions fared well in the national tournament – teams from Valencia, Chipola and State College-Manatee placed No. 1, No. 2 and No. 3, respectively. A second Valencia team placed 10th at the tourney. A second Chipola team along with groups from Broward, Gulf Coast, Tallahassee and Central Florida state colleges also placed in the Top 17 finalists at the tournament.